Öppettider/Opening Hours: Dagligen/Daily 10:00-22:00. Dekorerat av/Decorated by Ligisd (Graphiare). 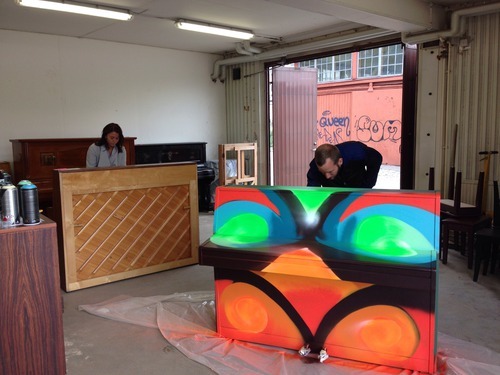 A street piano with a view! Ett häftigt initiativ! Hoppas de blir kvar längre än bara de några få dagar. And then her friend sat down to play and before you know it there's a crowd and a queue of people wanting to play! Whoop whoop! Wow, we hadn't even finished setting this piano up when this girl asked if she could play - I love it when a plan comes together! And another talented musician has a go! 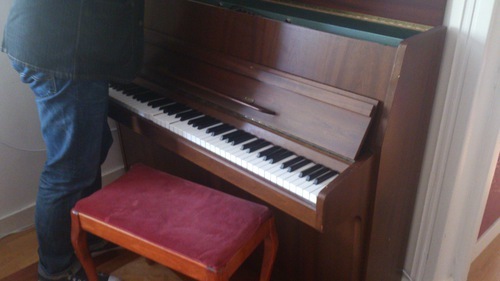 We hadn't finished installing this piano and there was already a queue of talented folk waiting to play! 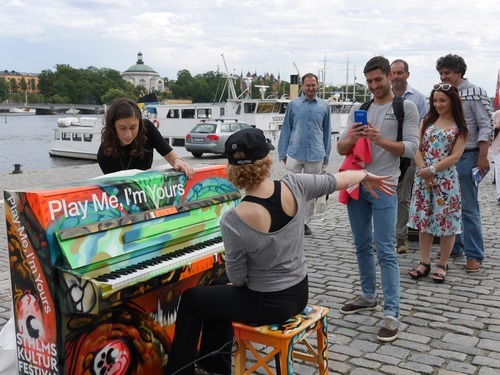 Ligisd målar och Ewik bakom pianot, kreativiteten flödar! 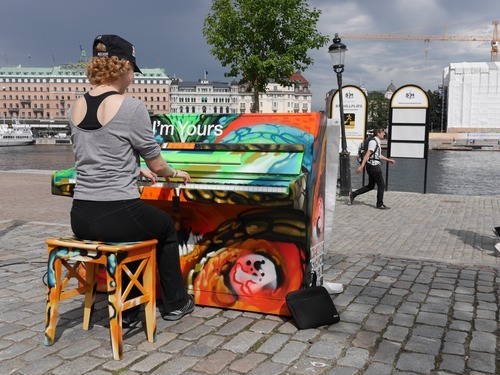 Tackar Graphiare för att Ligisd är hos oss och målar ett piano. 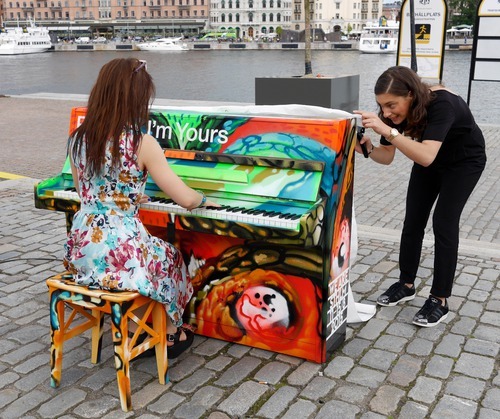 Skeppsbropianot blir ompysslat av pianoteknikern inför flytt. Tack Helena för din donation!